"My current work explores the ways in which we have an effect on each other and the world, expressing this relationship symbolically. It gives form to the intangible elements of nature and the psychological aspects of the human situation." SUSAN DOROTHEA WHITE is an internationally exhibiting artist/sculptor based in Sydney. With a career spanning more than five decades, she has held solo exhibitions in New York, Amsterdam, Cologne, Munich, Sydney, Adelaide, and other centres in Australia. She has participated in group exhibitions since 1957 and worldwide since 1980, representing Australia in over 60 biennales/exhibitions in Europe, Asia, USA, and South America. Recent group exhibitions include Sapere Aude – Circuito Off, Venice Biennale (fringe exhibition), June 2013, HarbourSculpture, Sydney 2017 (awarded First Prize Inside), and Sculpture @ Bayside at the Bayside Arts Festival, Sydney 2018. Her art is represented in public and private collections worldwide, including The National Gallery of Australia, Canberra; The Buhl Collection, New York; The Hechinger Collection – International Arts & Artists, Washington; Majdanek Museum, Lublin; and regional galleries in Australia. In 2005 she was commissioned to produce a bronze sculpture for The Buhl Foundation, New York. She was commissioned to write and illustrate Draw Like Da Vinci (London, Cassell Illustrated – Masterclass Series, 2006), a handbook of basic principles with over 100 of her drawings; also published in French, Danish and Hungarian. Born in Adelaide, South Australia in 1941, Susan Dorothea White grew up in Broken Hill, NSW. She was encouraged to develop artistic skills by parents and relatives with a keen interest in the visual arts. She decided on a career as an artist at age 15 while still at boarding school in Adelaide. In 1959 she commenced full-time study at the South Australian School of Art (Adelaide), where she was awarded the Drawing and Fine Art prizes for her year. 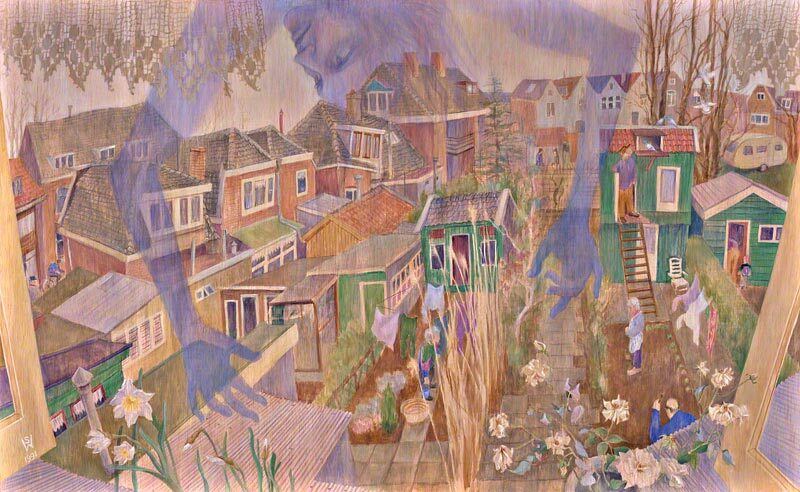 Moving to Sydney in mid-1960, she continued full-time study for a further one and half years at the Julian Ashton Art School. 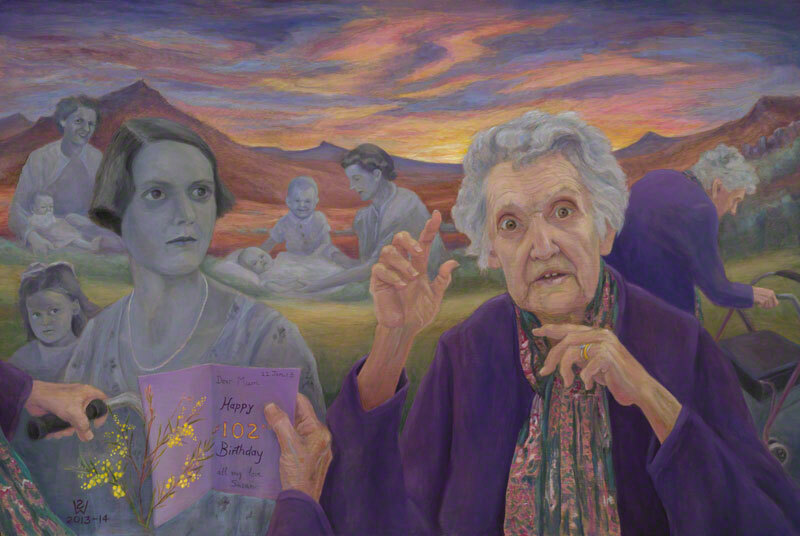 White held her first solo exhibition in Broken Hill in April 1962 at age 20. The same year she settled permanently in Sydney, worked as a sales assistant to make ends meet, and married. The first of her three children was born in 1964. Rearing children did not prevent White from creating – rather the children, the joy of her life, provided inspiration and subject matter. Much of her work was destroyed during this decade and she was prevented from exhibiting until separating in 1971. 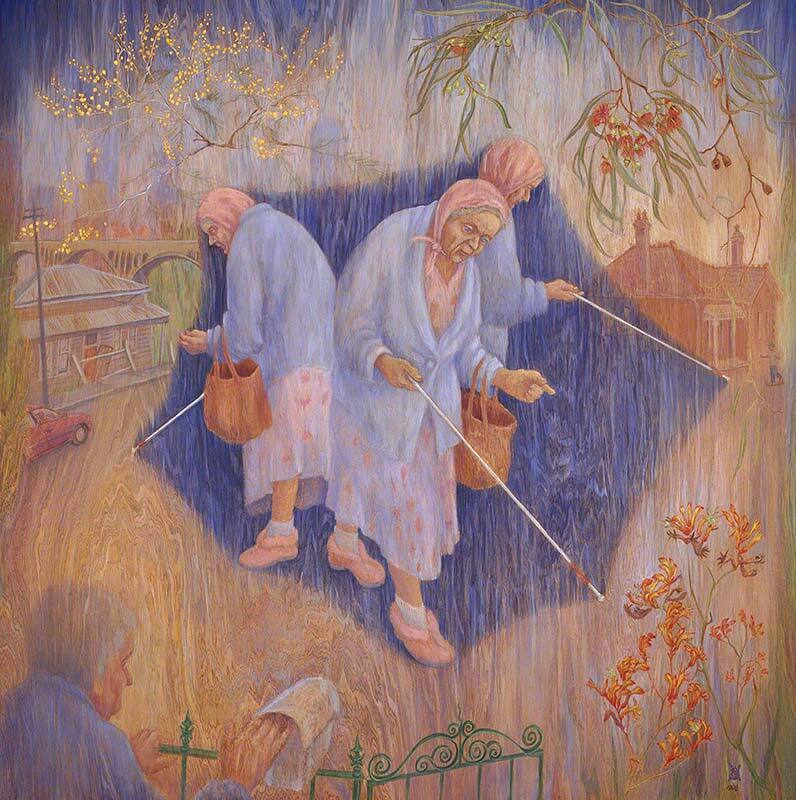 A single parent with three young children to support, she worked part-time as a waitress while painting for her solo exhibition, which was held at the Adelaide Festival in 1972. She met her current partner around this time and they married in 1977. During the 1970's White set up a lithographic workshop in her studio and gradually mastered skills in hand printing in multiple colours. White’s international career was heralded in 1980 with a solo exhibition in Munich. She has held solo shows in Amsterdam (1990), Cologne (1991), and New York (1998). Since 1980 White’s work has been selected to represent Australia in numerous international exhibitions, biennales and triennales, including Ljubljana, Berlin, Maastricht, Budapest, Florence, Biella, Perpignan, Bristol, Kyoto, Seoul, Taipei, Toronto, etc. She has also participated in group exhibitions in Nice, Geneva, Venice, Amsterdam, Stuttgart, New York, Washington, etc. White took up sculpture again in the mid 1980's, carving stone and wood, and producing bronze sculptures. Her sandstone sculpture Woman oppressed was selected for the 1989 Wynne Exhibition at the Art Gallery of NSW. 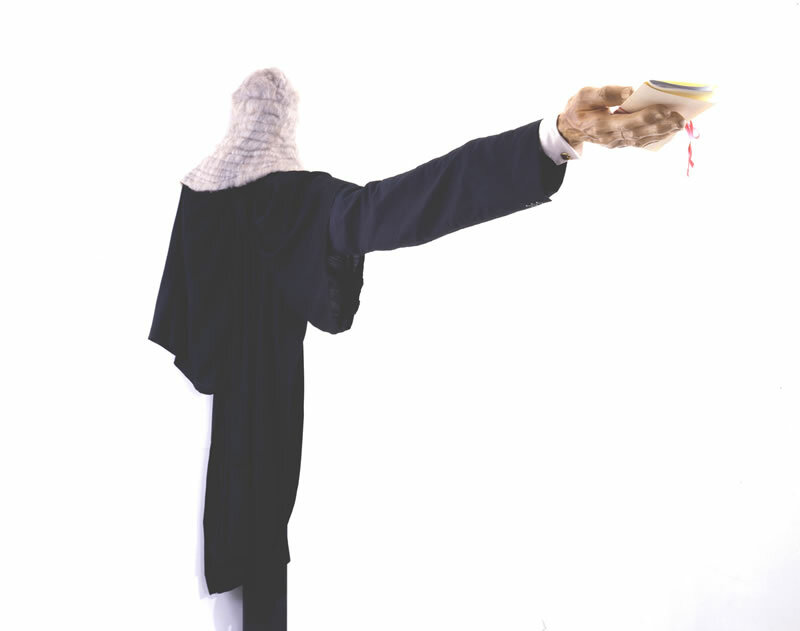 The long arm of the law (1988), the first of her mixed-media assemblages that combine wood-carving with everyday materials, was exhibited at The High Court of Australia during the 1998 National Sculpture Forum. Although White’s painting style has undergone developmental changes over the years, it has always remained figurative. 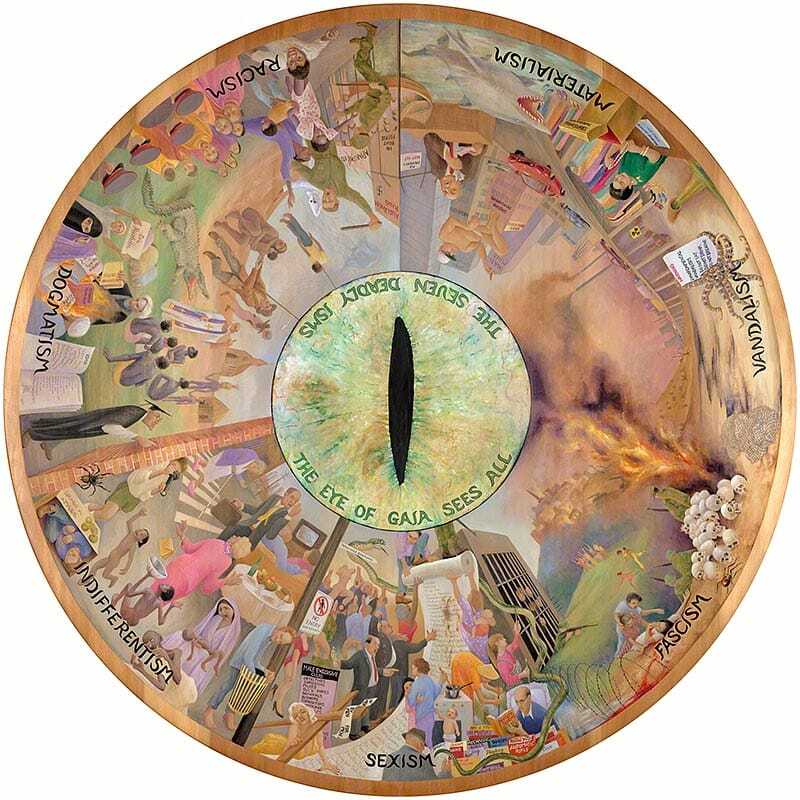 Her 1988 painting The First Supper has become a postmodern icon. Controversial when exhibited in Australia, the painting was acclaimed by critics when shown in Amsterdam and Cologne and was purchased for public exhibition in Germany. White’s solo exhibition in New York in 1998 was held two years after she underwent brain surgery to remove an acoustic neuroma (tumour). The Hechinger Collection (Washington, DC) purchased her sculpture assemblage It cuts both ways and included it in long-term exhibitions from 1999 to 2004 at the National Building Museum, Washington. In 2005 The Buhl Collection (New York) commissioned White to produce a life-size version of her small bronze sculpture Stretching the imagination. Drawing is the foundation of White’s art – she always carries a sketchbook with her. She has produced countless drawings, including a series of over 140 anatomy drawings since 2000. She was commissioned to write and illustrate a handbook on the principles of drawing: Draw Like Da Vinci (London, Cassell Illustrated – Masterclass Series, 2006); also published in French, Danish and Hungarian. She found that being a left-hander helped her to decipher Leonardo's technique. From time to time she has taught drawing in the community, including anatomy drawing workshops for the public at the University of NSW (2000–2007), most recently in Bath UK (2012). In June 2013, White participated in a curated fringe exhibition at the Venice Biennale: Sapere Aude – Circuito Off. She was awarded First Prize Inside at HarbourSculpture, Sydney 2017. Her large outdoor bronze Stretching the imagination was selected for exhibition in Sculpture @ Bayside at the Bayside Arts Festival, Sydney 2018.